Ramírez has led us off a gravel road and into the rainforest in Tres Garantías, Mexico. The chicozapote tree (Manilkara zapota) is over 50 feet tall, its upper branches disappearing out of sight into the forest canopy. Mosquitoes swarm around him, but Ramírez remains focused on the task at hand. Here in Quintana Roo, in the southeast corner of Mexico, the sap of the chicozapote tree is perfect for chicle, or natural chewing gum, a product tracing back to the Mayan civilization. 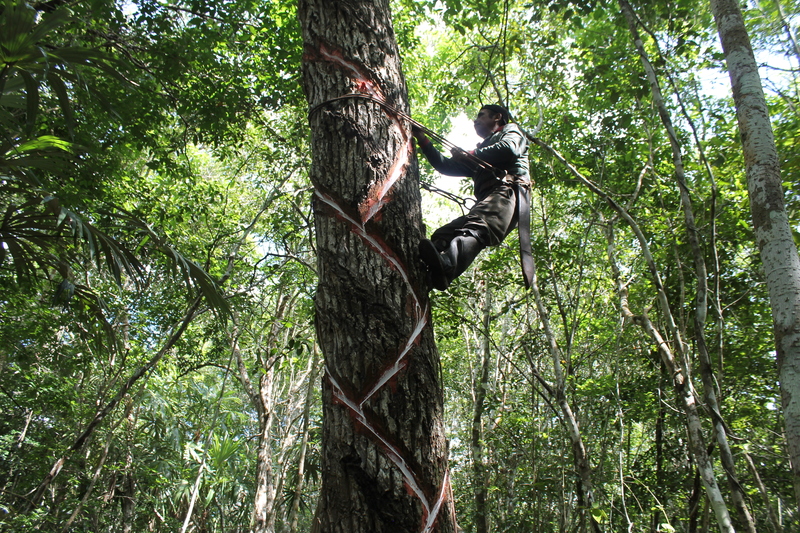 Read the full story, of how Mayan communities are re-invigorating the natural gum industry, and preserving their own corner of the tropical rainforest, in Sierra Magazine online. Fascinating story, new perspective on gum.